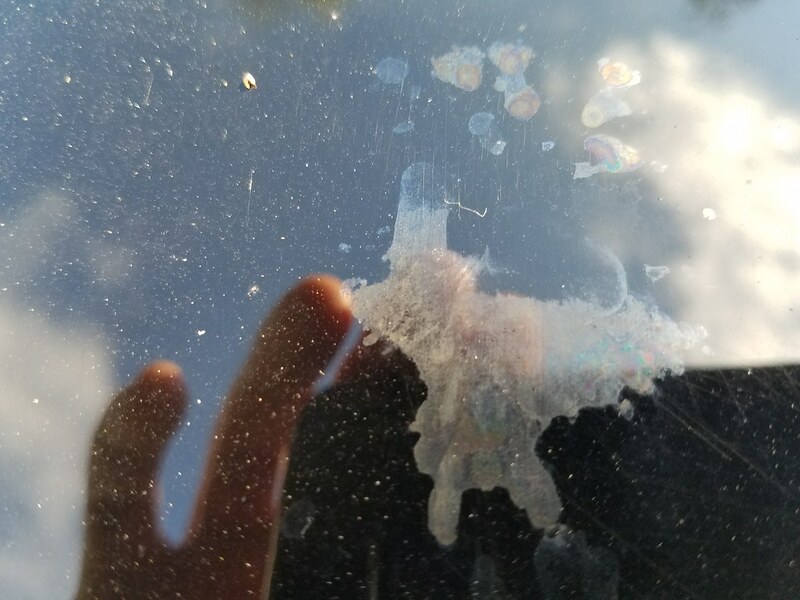 The problem with bird droppings are, they are not a consistent when it comes to the time they start to damage the paint. It can often range from over 2 weeks to less than 1 day before damage starts. Even etching within a few minutes is very possible. Quite a few variables are in play, from the bird, the bird’s diet, whether there is a wax or sealant or coating on the car, etc. Even with a ceramic coating, which does provide an outstanding barrier of protection against bird droppings, it is still highly recommended the bird dropping should be removed sooner rather than later. With a PH acidity that can typically range in the area of 3 to 4.5, bird droppings should not to be taken lightly. I have divided bird drop etchings into 3 levels. This is not meant to be a scientific categorization of the damage but merely a guide I created to provide a general overview. The first level is very minor. It can easily happen to the most attentive car care enthusiasts, especially with daily driven vehicles. These kinds of etchings are often barely noticeable until right up close and can usually be easily polished away with a mild/finishing polish. 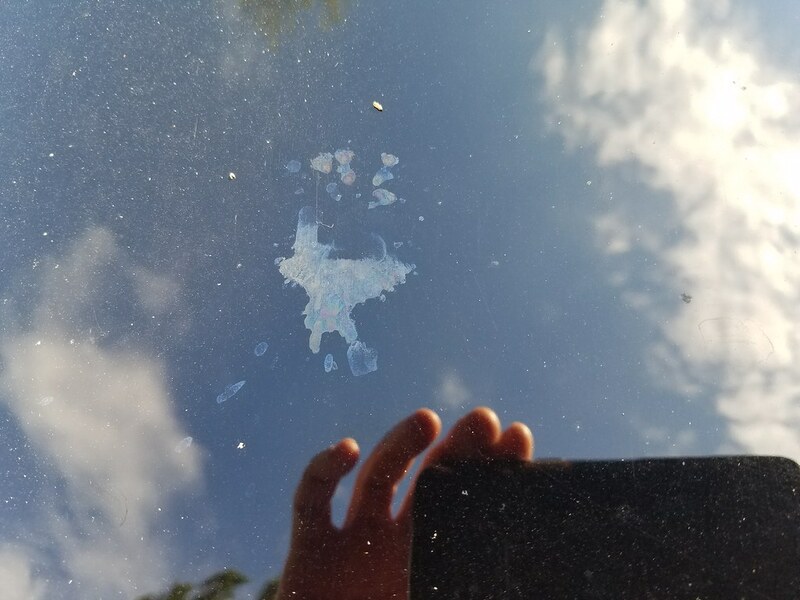 This vehicle protected with Wolfgang Deep Gloss Paint Sealant 3.0, had this bird dropping sit the best of my knowledge between 1 to 3 weeks. The damage left was very minor. Though I have seen more damage done in less time before. 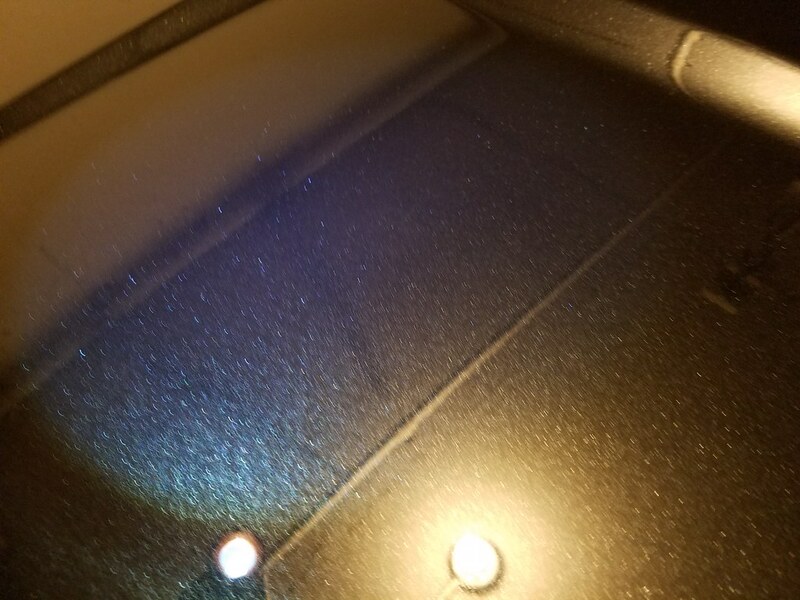 I polished by hand with Menzerna SF 3500 using a soft foam applicator. No problems. This next pictures below show more serious damage. 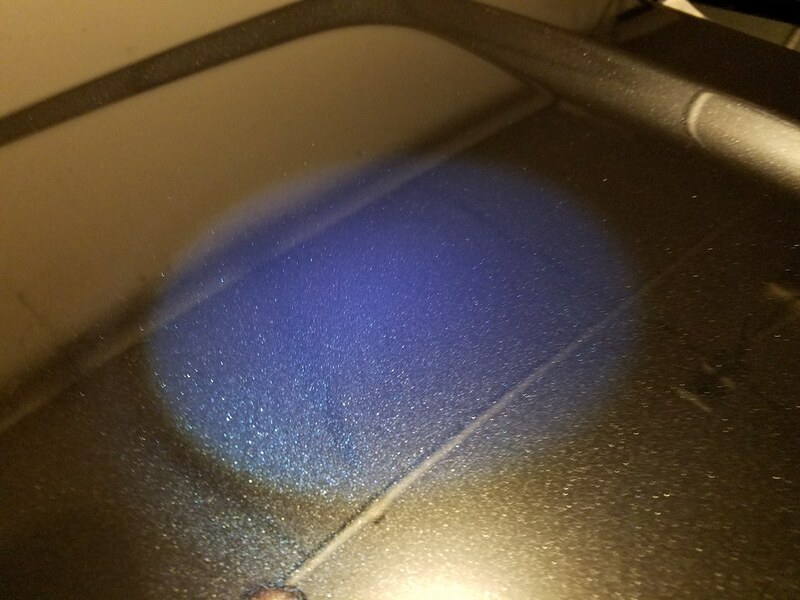 It has the appearance of a silhouette to the paint. Bird etchings that have a subtle glow, it is usually a sign of the damage being somewhat deep. This will often require a more aggressive approach to level appropriately. It is VERY possible some or all of the defect cannot be removed, depending upon the paint thickness. The next picture below reveals severe damage left for a long time. This has led to the paint wrinkle etching. 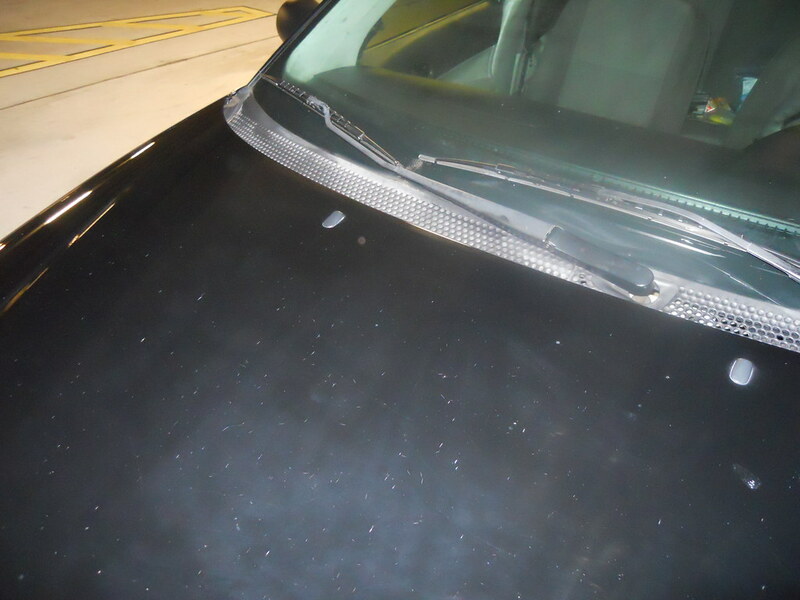 The acids from the bird deposits have seeped through your paint leading to tiny fractures over time. This can only be fixed with a repaint. 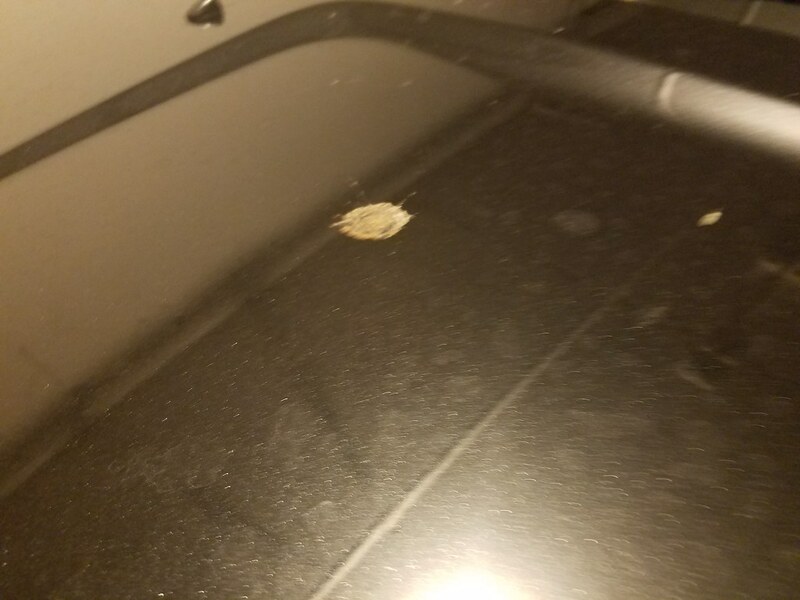 You have to do a walk around and clean up the bird droppings each time you take your car out. I always check my vehicles if they have been parked outside for any length of time. I keep a QD kit in each vehicle just for that purpose with QD and microfibers. I reapply sealant when I get home. Thanks, Rodney. Since moving south, I’m not sure if it’s the bird’s diet or the heat that seems to make bird droppings more of an issue here. Could be a combination of both. My neighbor got the biggest bird dropping I have ever seem. I think a flock of sea gulls bombarded his car. It was everywhere. He washed the car and got all of it off. It was gross. Recognize quickly and remove quickly, use a mild polish cleaner, the apply a good paste wax, I recormend.